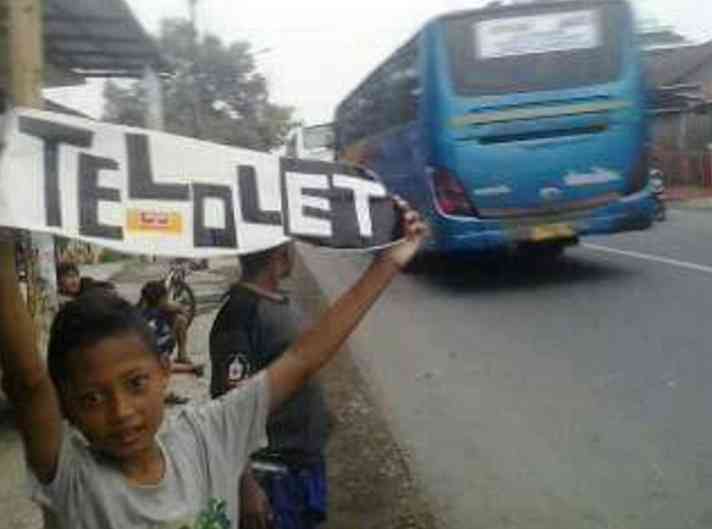 Their signs read “Om Telolet Om”. It simply means, “sir, honk your horn, sir”. Young girls and boys, especially in Jakarta, hold them up for passing bus drivers, hoping to prompt them to play their musical horns as they drive by. It’s a fun, clean game with instant rewards, especially given the variety of sounds the horns can create. The horns consist of up to six compressed air, trumpet like horns attached electronically, each tuned to a different pitch. The driver has a rheostat that can play them individually or as groups, composing little melodies in an endless variety. They can also be outfitted in cars. As somehow who has ridden buses in Indonesia, I can attest to the drivers as purveyors of gossip, wisdom, and entertainment. It makes total sense they are taking advantage of a new tool to assert their outsized personalities. The Minister of Transportation worries about the safety of the game, but its likely it will continue for some time and even if it is curtailed, he and other officials are certainly proud of an Indonesian export that has brought a good deal of positive attention from the world at large. Thanks to bloggers whose posts contain online videos of the kids flagging the buses, and DJ’s who have mixed the horn sounds to create sonic pastiches that are ever more popular, the kids’ fun has gone around the world. Since late December “om telolet om” has been appearing in the online comments of many celebrities, the result of dedicated Indonesians gaining attention for the phenomenon. It has been “twittered, facebooked, and youtubed” millions of times. Type the phrase in a search engine and you too can join in the fun. Or click here. After American journalist Jon Emont (who I met with before he headed to Indonesia) wrote about this on December 23 for US News and World Report, the story was picked up by NPR, the Jakarta Post, and countless other media. Billboard now predicts the horn sounds will be heard in more and more of the world’s electronic dance music. Of all the things from Indonesia that might go viral one would not have predicted it would be bus horns. Yet, amid all the challenges regarding the flow of information and its effect on politics and how we live, it’s a bunch of Indonesian kids who have successfully injected their essential truth into the online realm of lies, half-truths, deception and misinformation, shaping it to their reality and giving a tense world some joy as we move into the new year. I am often asked how to get more positive stories from Indonesia into the media and public opinion. It would seem one answer is the simple creativity of Indonesian kids and their bus driver friends.